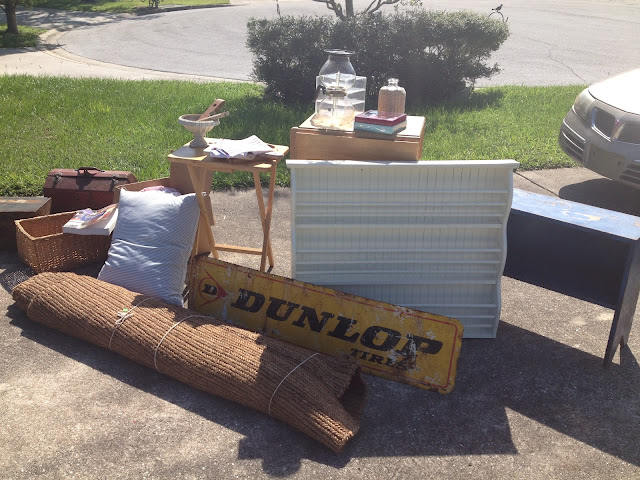 Welcome to Nifty Thrifty Tuesday. With Fall here, seems like everyone is busy fussing up their homes, and out and about doing some fun thriftin'. I am loving all the inspiration that I am seeing here at my party. Here are a few features that I chose from last weeks party. If you were featured, feel free to grab my "featured" button (you can find it under my header). You can also see more features in an earlier post here, so you just might need to check those out too. Thanks for the fantastic party...love the features! Thanks for being such a gracious host! Love Anita's living room slipcovers that you featured. 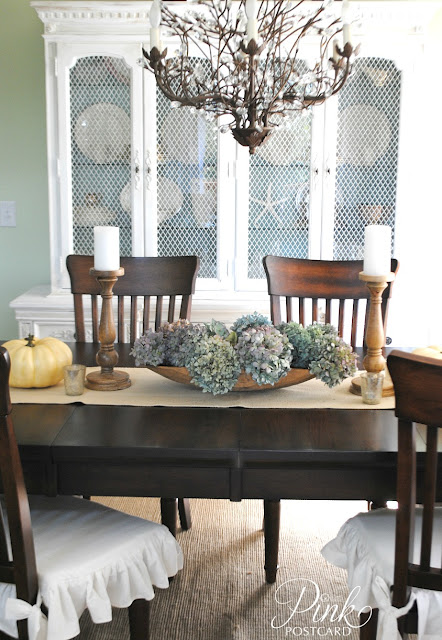 I am loving all of the fall decoration ideas. 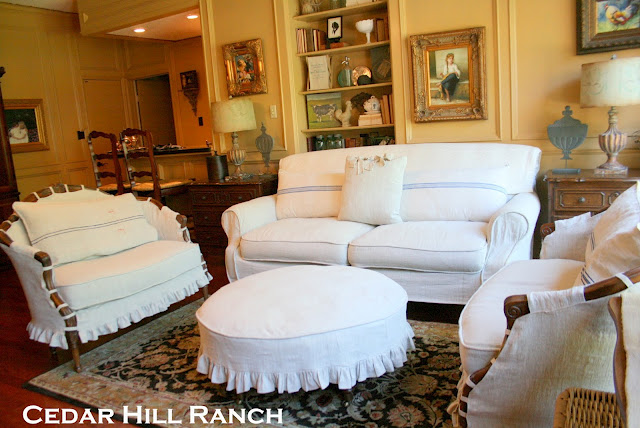 The Cedar HIll Ranch room is gorgeous! Linda, what great features! Thanks so much for hosting each week. Glad to link up! Gorgeous features! Thank you for hosting. Thank you so much for hosting, Linda! Thanks for the feature too! :) yay! Thanks so much for hosting, Linda! Hope you have a great week. Such beautiful and fun features, Linda! And, thank you so much for hosting. I'm off to be inspired. Wonderful features....no fluffing for me as I am waiting until I get to move into my own home. You asked about my booth. It is doing well. I hope this fall it does better...Still have some big pieces that don't seem to move. Linda, you leave us with no choice but to vegg out in front of the computer and click links. Thanks for giving us a place to share! Awesome features~ thanks so much for hosting! Loved your Autumn decorating post. Thanks for hosting, glad I could join in. Hi Linda; thanks for hosting. Love the features this week. 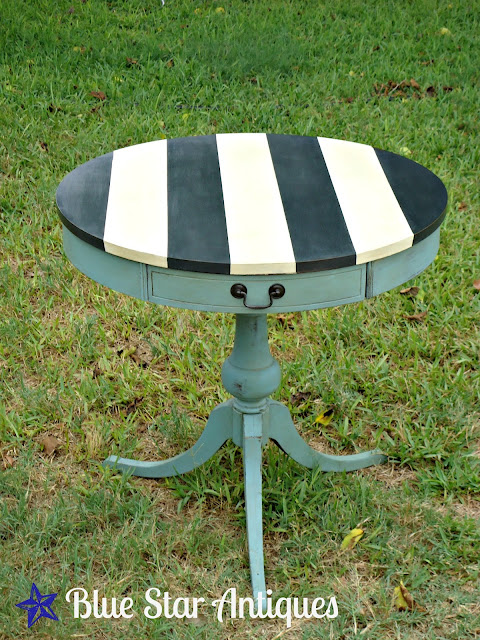 The little striped table is adorable! Great features and fabulous party as always, Linda! Thanks bunches for hosting! Love the featured blogs from last week. Now to see what is up this week. Loved the features! Thanks for hosting. Have a great week. Yay, Monday is almost over! My worst day of the week. I'm always happier on Tuesday, lookin forward to seeing the posts for the party tomoorw, thanks for hosting! Lots of features to pin! I've been looking for a white cabinet just like the feature and I love that blue background. So happy to find such a great inspiration room! Thanks Linda so much for the feature. I appreciate it so much. I gave you a shout out on the ranch's FB page. Hi Linda: Pretty, pretty features this week--love them all! I thank you so much for hosting the party today for us, and I hope you have a great week! Thank you for hosting, I'm so happy to have discovered your blog! I love your style! 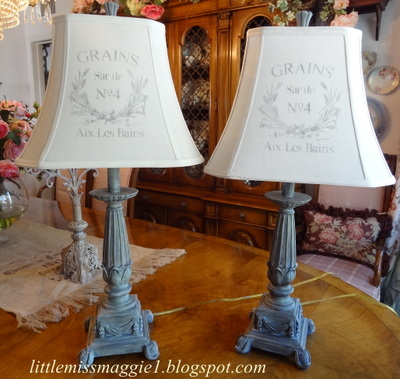 Linda, thanks so much for featuring my little table! I've got another [quite different} black& white project tonight! What a fun party! I'm linking this week and excited! Enjoy your day! Happy Fall! gosh, I'm late, I thought I linked up yesterday...thanks for hosting Linda!! Thanks for the party, Linda! You've got quite a crowd!!! Always happy to join your party. Wonderful features! Thanks so much for hosting, some great projects! I love your linky parties,all of these goodies, all in one spot! Yippee I am off to check a few out! Thank you for hosting this party. I am a new blogger always looking for and creating great inspirations. I am looking forward to "catching up" on your great posts. Hope you'll be inspired by my latest "MASTERPIECE!" Your spot looks great I wish I was closer, I'd go check it out!! Hi! I just got here and found your blog. It's awesome and fantastic. I just love reading it. Thanks!